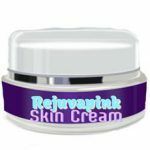 Rejuvapink Skin Cream Reviews: Does It Work? What is Rejuvapink Skin Cream? The manufacturer claims that Rejuvapink Skin Cream is an anti-aging cream that may help reduce fine lines and wrinkles, diminish dark under eye circles, hydrate, tone and tighten skin, and may help increase collagen production. Rejuvapink Skin Cream claims to use essential oils and natural botanical ingredients to produce safe, long-lasting results. Rejuvapink Skin Cream may be an alternative to surgical procedures meant to reduce or reverse the signs of aging. Who is the Manufacturer of Rejuvapink Skin Cream? Limited information about the product is available. No information is available about this product’s manufacturer, leaving credibility claims in anti-aging skincare unfounded. This leaves consumers to assume that Rejuvapink is the manufacturer of this product. The manufacturer website appears to be under construction. How Does Rejuvapink Skin Cream Work? Third party’s claim Rejuvapink is formulated to deliver improved collagen, which better supports multiple cellular level processes, facilitating in skin repairs, rejuvenation and regeneration. It promotes more efficient skin renewal; that it can cause the appearance of fine lines, wrinkles, age spots, hyper pigmentation, and other visible signs of aging to fade; that it can boost the moisture levels of skin; and that it can increase antioxidant protection, which better protects skin from damage. Rejuvapink Skin Cream Ingredients — Are They Safe and Effective? A full list of ingredients is not available for Rejuvapink, so there is a high likelihood that consumers may experience side effects when using Rejuvapink Skin Cream. A precautionary step would be to perform an overnight patch test in order to identify adverse reactions. Collagen is one known ingredient in Rejuvapink Skin Cream. It can help rejuvenate lost collagen in the skin. Collagen supports skin repair, regeneration and overall rejuvenation. What are the Advantages of Rejuvapink Skin Cream? Third parties claim Rejuvapink Skin Cream is easy to use and apply and can be incorporated into consumer’s daily skincare regimen. The product is designed with a lightweight consistency to be easily absorbed into the skin, so that it can deeply penetrate, creating the potential for a more intensive treatment. The manufacturer guarantees that Rejuvapink is made with safe, non-harmful ingredients suitable for all skin types. What are the Disadvantages of Rejuvapink Skin Cream? Limited information is available about the product performance and safety of Rejuvapink Skin Cream. A full list of ingredients has not been provided, so consumers have no way of knowing what side effects may be associated with the Rejuvapink Skin Cream product. Rejuvapink Skin Cream is available through limited online distribution. How Should You Take Rejuvapink Skin Cream? For best results, the product is designed to be used regularly. It is recommended that the product is rubbed all over your face in gentle, circular motions twice daily or during your normal beauty regimen. How Much Does Rejuvapink Skin Cream Cost? Consumers can sign up for a limited-time free trial offer, initially paying only for the shipping and handling costs. There is limited information regarding the product cost after the trial has expired. What is Rejuvapink Skin Cream’s Return Policy? Customers have the option of returning the product and canceling their order before the trial period lapses. Does Rejuvapink Skin Cream Offer a Free Trial? Consumers can sign up for a limited time free trial offer, initially paying only for the shipping and handling costs. There is limited information available regarding the Rejuvapink Skin Cream free trial. Although there is the potential for Rejuvapink Skin Cream to offer anti-aging properties, very little information is available about the product and of the information available, none of it is verifiable. It is recommended that consumers compare and contrast with Rejuvapink competitors before making the investment into the product. There are countless anti-aging products on the market promising younger looking skin. With the promise of skin miracles, such as short-term facelifts and finding the “fountain of youth”, consumers are left with expensive moisturizers that do little to reverse the signs of aging. Some products are better than others. With such little information being offered about Rejuvapink Skin Cream, it is hard to determine if it is a product consumer can trust.